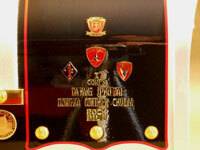 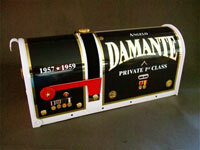 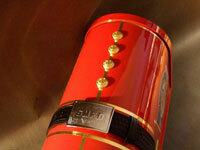 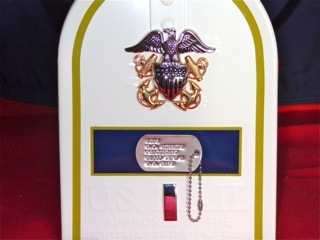 "A public box for outgoing and incoming mail"
Dog Tag can be either Engraved, or use your own. 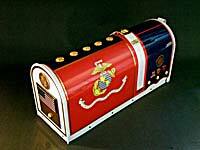 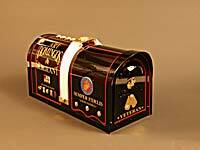 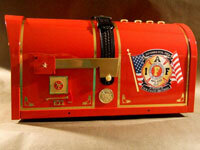 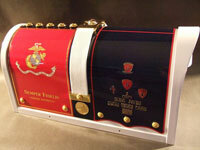 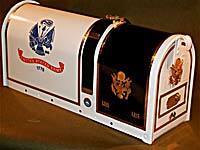 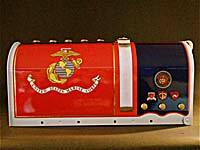 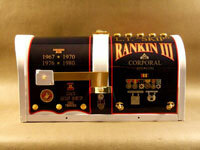 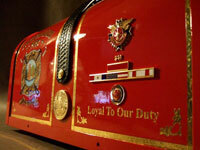 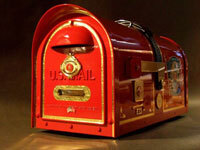 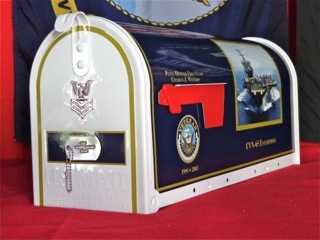 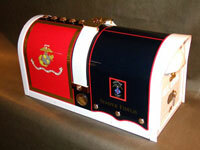 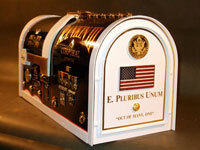 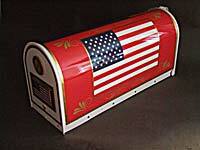 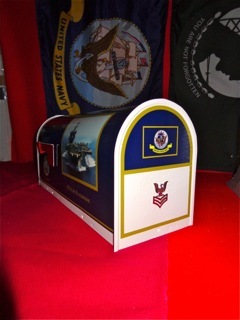 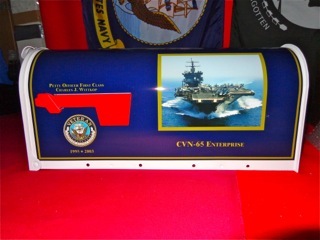 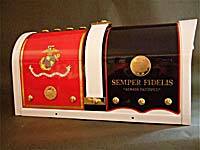 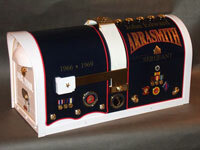 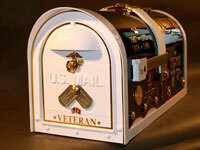 These magnificent mailboxes have been designed for each of the Branches of Service. 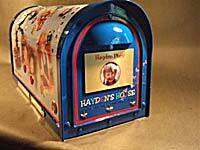 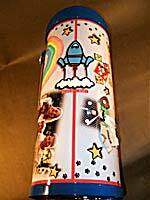 They can be displayed at the curb, on the front porch, in your "I Love Me Room", or as a keepsake item. 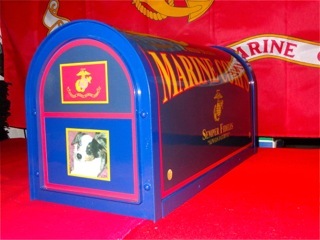 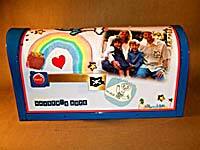 Personalization is offered at an additional price with Rank, Name, and/or a Photograph which makes them one-of-a-kind. 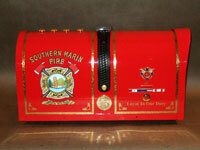 In recognition or our Firefighters who are "Loyal To Our Duty", the city of Sausalito will soon be dedicating their new fire house. 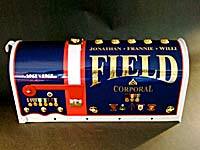 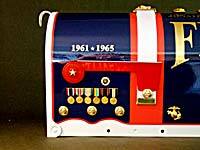 A Jonathan Field Collection Mailbox will grace the entrance way for all to see and admire as a fitting tribute to our Firefighters. 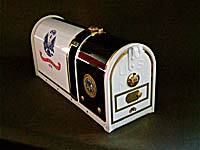 The Law Enforcement mailboxes are still in development. 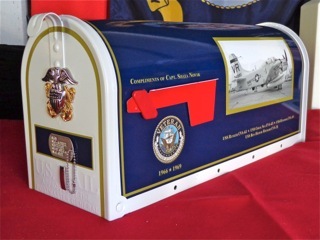 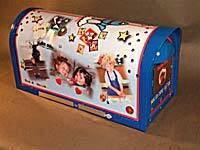 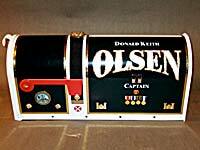 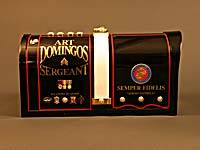 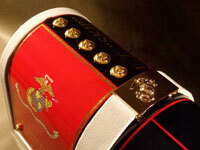 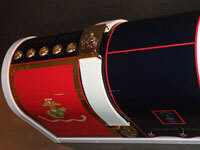 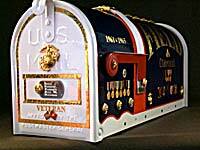 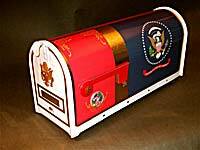 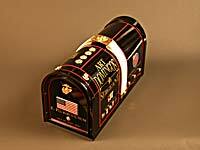 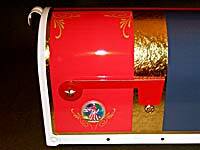 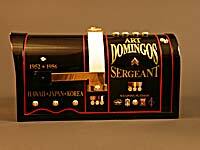 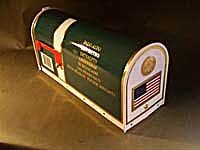 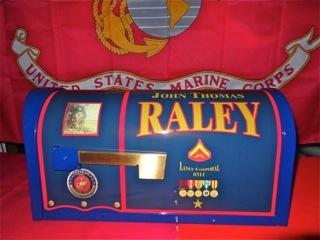 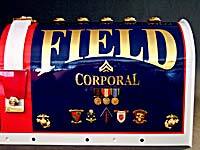 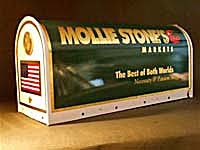 Each Mailbox includes a Branch of Service Lapel Pin encased in a plush-lined leatherette jewelry box, except the Police and Firefighter Mailboxes, and is wrapped in a fitted fabric covering to protect it from any damage that may incur during shipping. 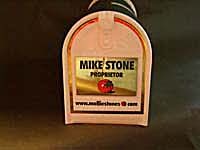 The bag is reusable for other purposes. 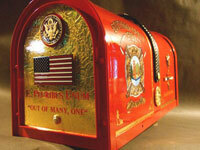 Northwest Territorial Mint also supplies the beautiful medallions that are used on the mailboxes. 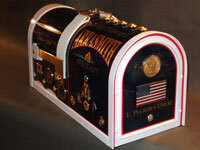 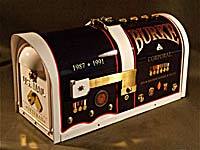 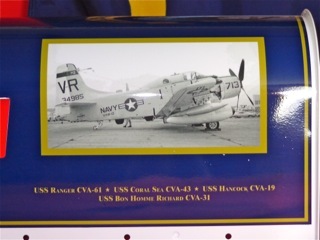 for their contribution in making these mailboxes a reality with their outstanding design and graphic work.